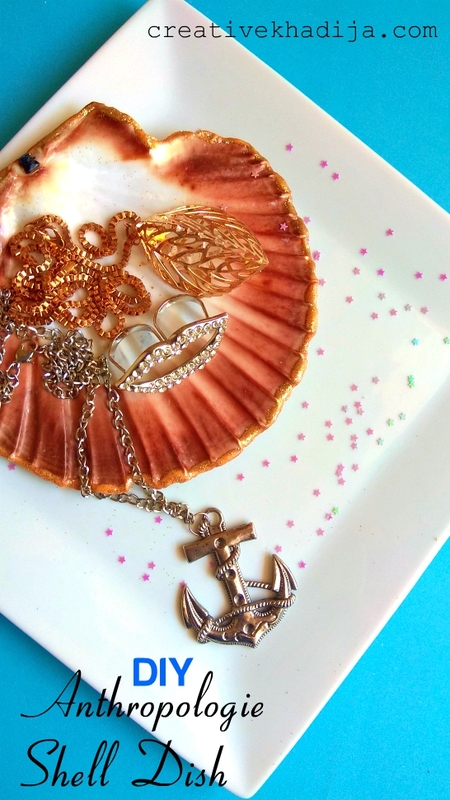 One of the easiest DIY to make seashell jewelry dish for keeping rings and mini accessories. 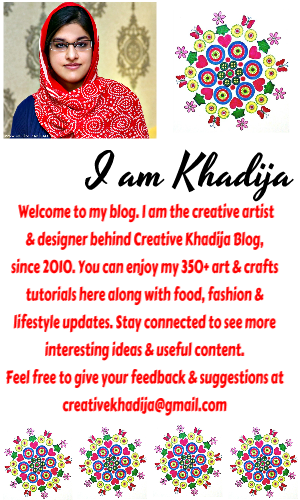 Have a look at my Anthro inspired DIY today on Creative Khadija Blog! 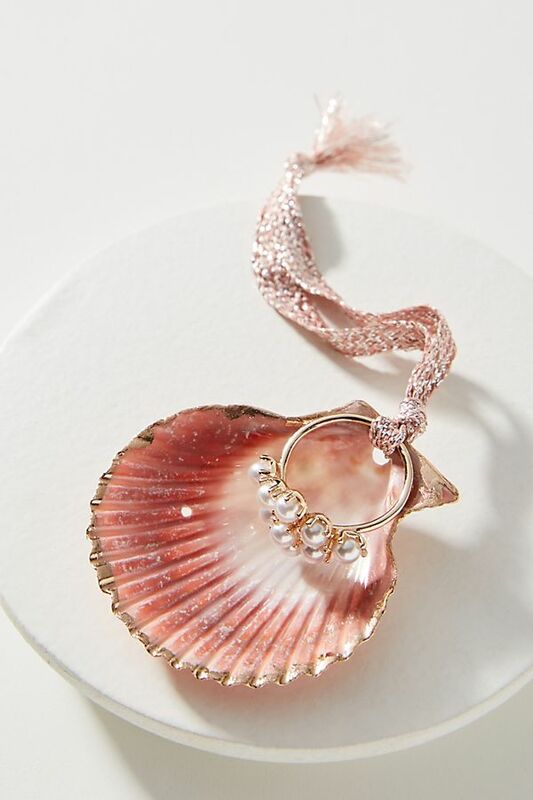 Isn’t it a cute Shell Ring Jewelry Dish? 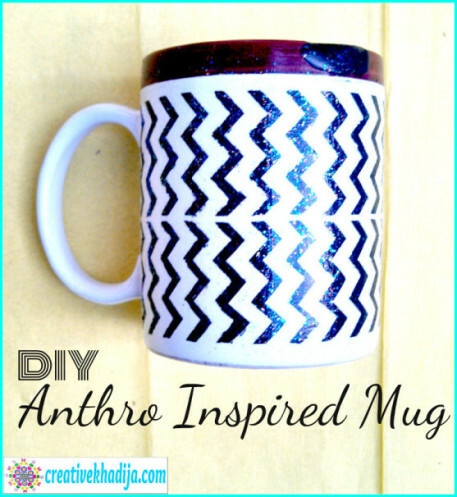 It’s actually inspired By Anthropologie. 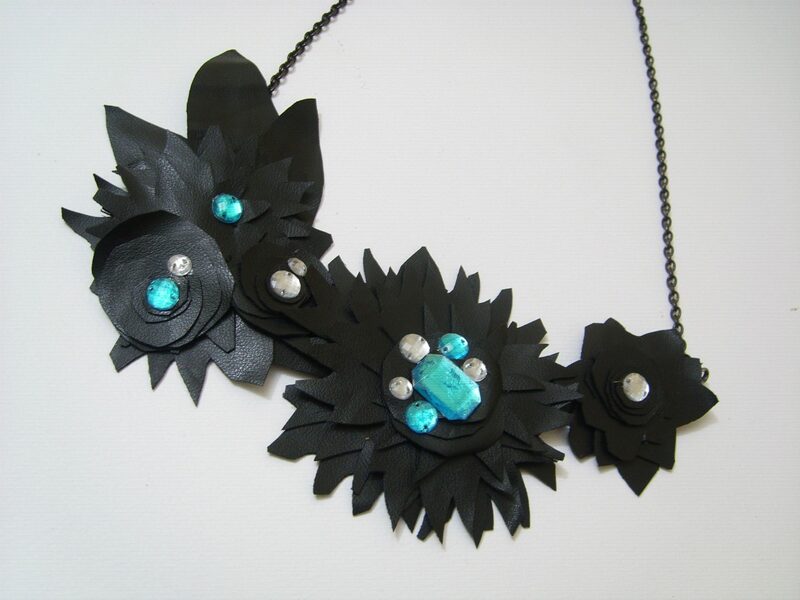 Let me show you the inspiration behind my this seashell craft. When I saw this cute dish, I seriously was excited to make something similar. 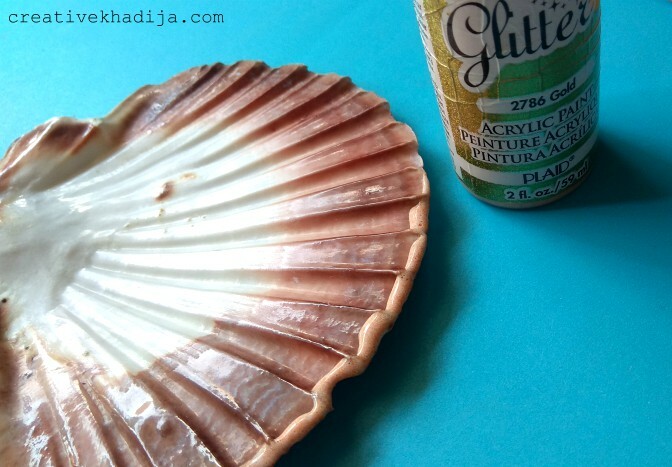 One of the reason behind my excitement to try this craft, was the original seashell which I had in my crafts stash since long. Once I received a cute gift from my friend in Spain. She lives near the beach and used to collect seashells from there. She makes seashells crafts as well. 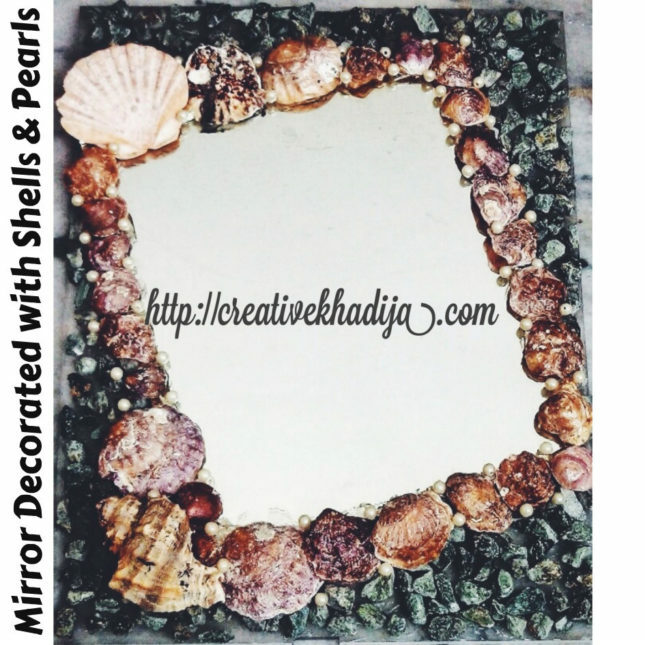 So when she sent it to me, I also decorated a seashell wall art with them. 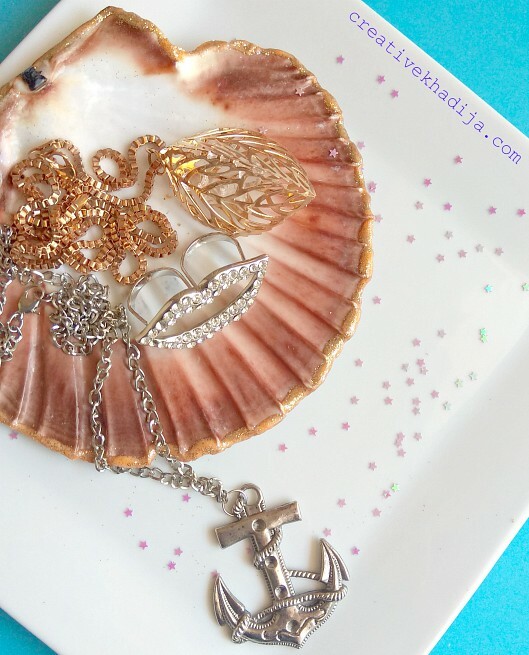 You can check that idea on my post how to make sea shell crafts. 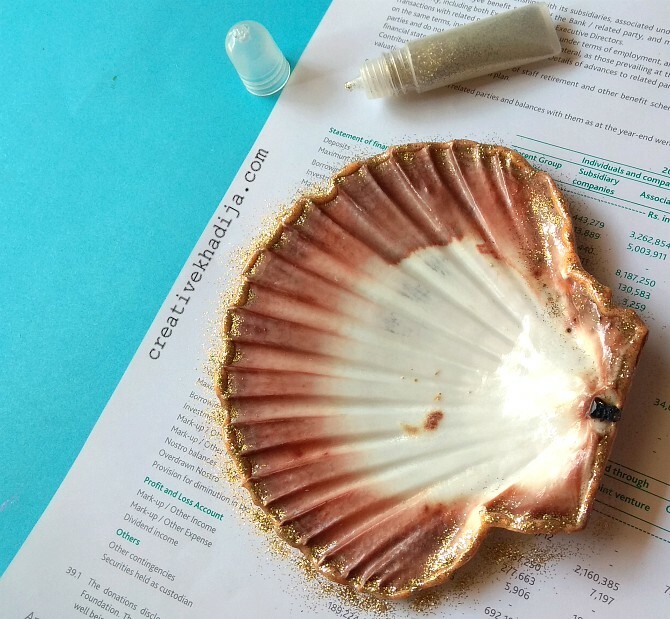 For making this DIY Shell Ring Jewelry Dish Inspired By Anthropologie, you will need only a big size seashell, glitter glue & paint brush only. Let’s make it. First of all, I washed the seashell and dried with a paper towel. 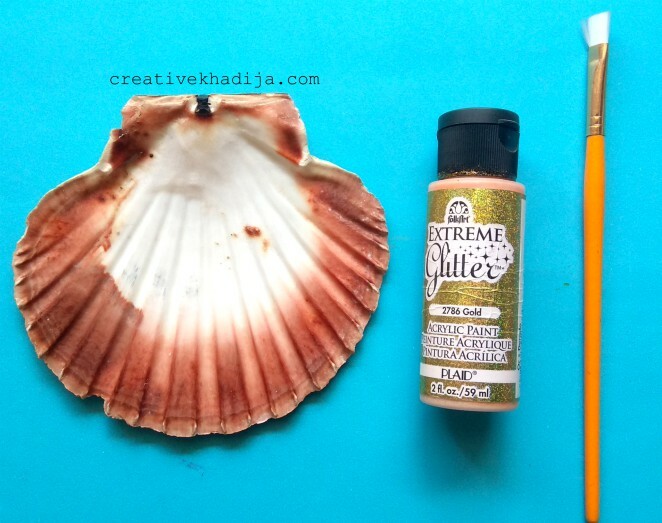 Then applied glitter glue (extreme glitter glue by Plaid) on a paint brush. Applied the glue carefully on the edges of seashell. Gold color is such a pretty shimmer. Isn’t it? But wait, I was not satisfied with the shimmer so I put some additional glitter chunks on the glitter glue which I applied already. What do you think? Isn’t it looking pretty? But wait, let’s add some more glitter to it. What do you think? 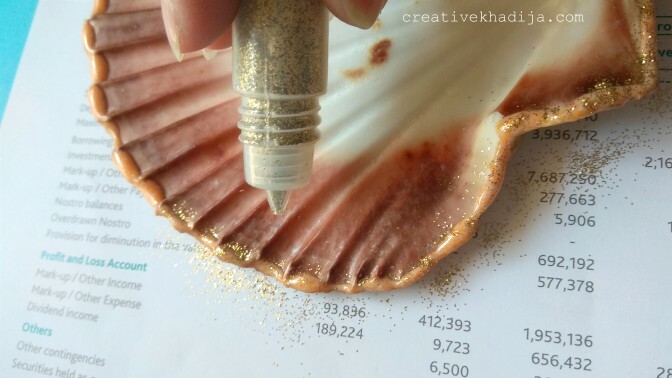 Before sprinkling the additional glitter chunks, you need to place a sheet under the seashell. 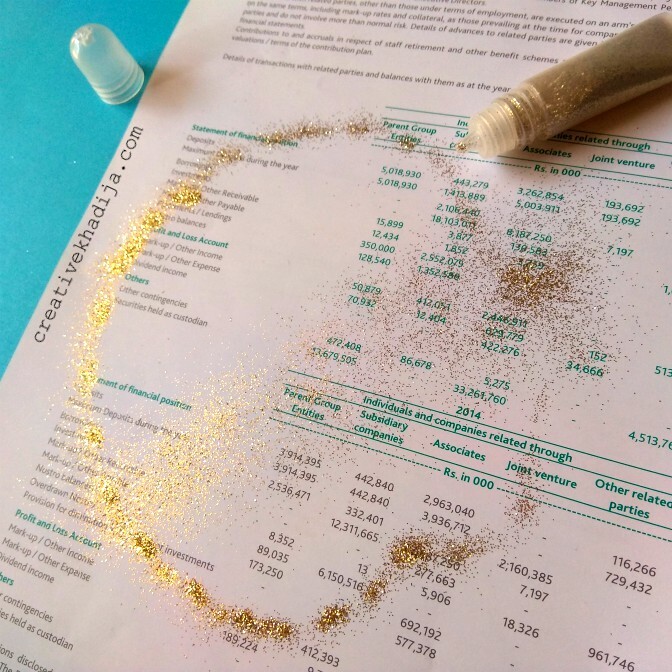 So when you complete applying glitter, you can add it back to the glitter bottle or jar. 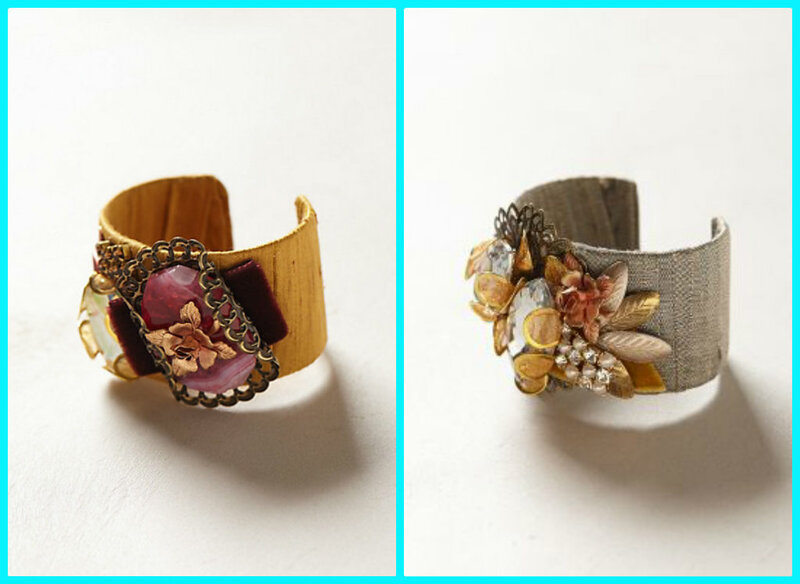 There are many creative shells crafts ideas but I guess this one is the easiest one to try. No professional skills required to make it. Even a kid can make it easily. 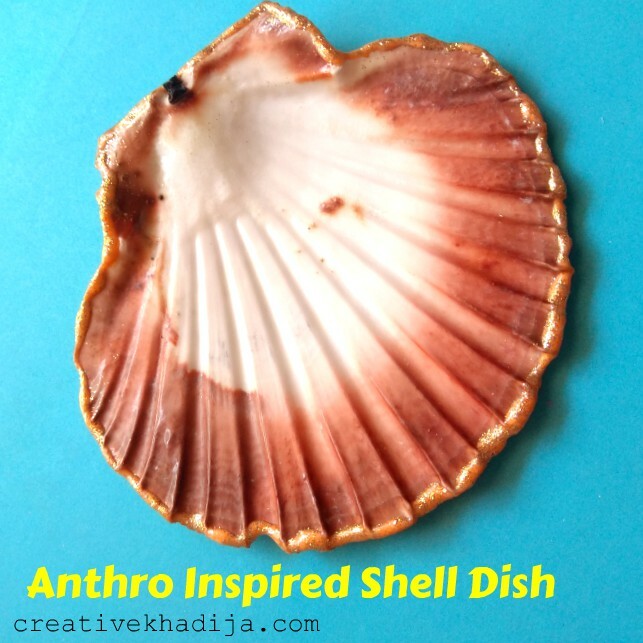 I have shared many DIY crafts for kids and soon I will be planning a seashells craft ideas with kids as well. When my niece saw this, she was excited to try something with it. So I promised her that we will craft something later with these shells. 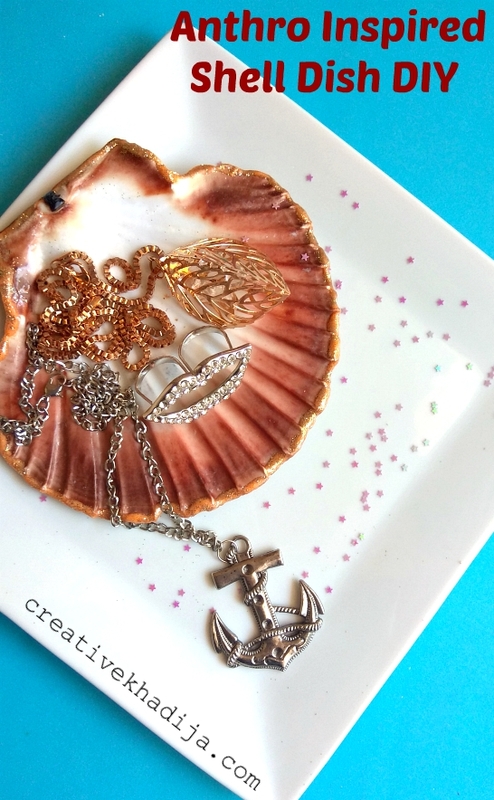 This is how to organize your jewelry and accessories beautifully on a seashell dish. Isn’t it one cool idea? If you like this idea, please share with others on your social media. Though I don’t know how much you will like it, but for me it’s a very cool addition to my vanity table now. 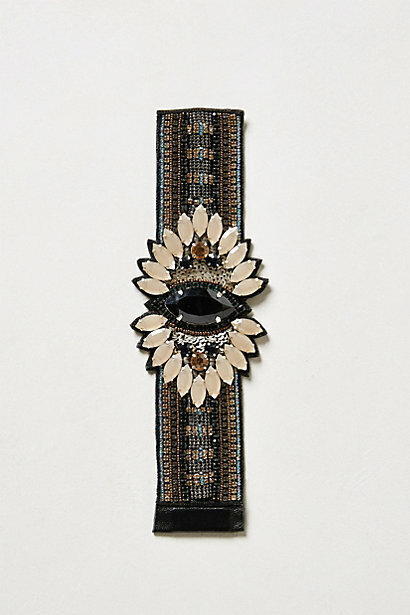 This is going to be my dish for keeping mini jewelry, like rings on it. 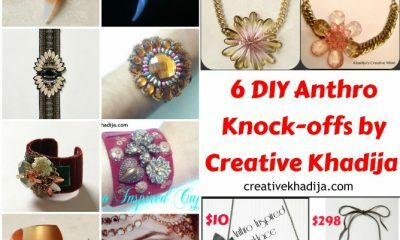 I simply find it useful and I am sure if you will be making one, you will love it too.